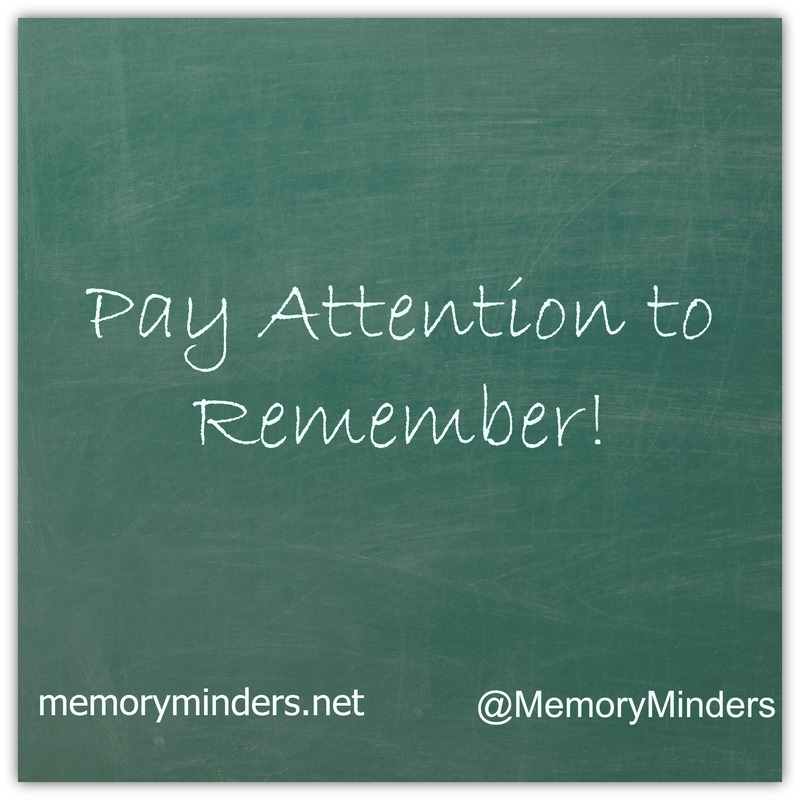 Many people ask me how they can remember things better: names, appointments, what happened yesterday. This is what I do, I help people remember and sustain their memories. I tell them to pay attention, it’s as simple and as difficult as that. Memory techniques, strategies and lifestyle changes are all beneficial and I can tell you about those, too. However, if you don’t first pay attention, none of the rest will matter. We learn in our society to multi-task, it’s how we live our lives. Even though we know multitasking is bad, we see it as a necessary evil. But it’s counterproductive for our brains and memories, especially as we age. Research shows multitasking actually makes us less efficient and effective. We do it anyway. When someone tells us their name, we often miss it while thinking of something else. And then walk away wondering why we can’t remember! 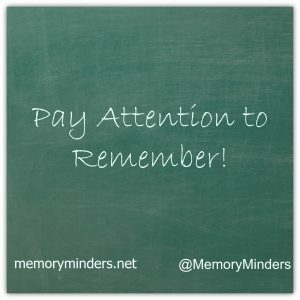 Simply paying attention to what matters in life and doing as few things as possible at a time can boost anyone’s memory. When I truly focus on what I am doing and who I am with, life is precious. It is a gift I give myself, my memory and all those around me.